I'm planning to start out with only one NAV/COM (the SL-30), but eventually I will add a second GPS/NAV/COM (a Garmin 430W). Using a splitter it is possible to use one NAV antenna for both radios, but for a truly independent backup, I may need to install separate antennas for the two radios. 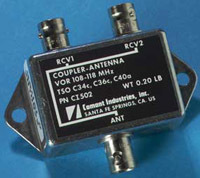 The antenna most people install on RVs for their primary COM antenna is the Comant CI-122 bent whip antenna. It costs around $150 and is durable and reliable. I have one of these on the RV-9A and it works flawlessly. I'm not really sure why the price has gone up so much in the past two years, but I seem to recall that I only paid around $120 for it back in 2005. Still, this will most likely be the choice for the RV-10, and it will be wired directly to the SL-30. Another choice is the CI-121, which is less money. It's not bent, but the RV-10 may be tall enough that I could use it. For a second COM antenna I don't really want another whisker sticking out of the plane, so I'm planning to use the Bob Archer Model 1 wingtip antenna. These are currently around $90. It is installed in the fiberglass wingtip of the RV. COM antennas are vertically polarized, so the end of this antenna should be bent vertically if possible. 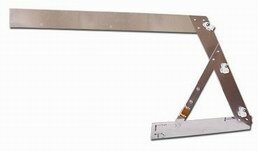 Although this antenna won't provide coverage like the primary antenna, it should work fine for air to air traffic, and for monitoring ATIS, etc. The SL-30 requires only one antenna to provide VOR, Glideslope, and Localizer functionality, since it has a build in diplexer to split the signals. So, I will only need the one antenna. The signal from the one antenna can be split to two radios as well. One option is to install one of these "cat whiskers" style antennas. They are ugly, but they work well apparently. An inexpensive choice would be the Rami AV-532. It sells for around $100. Another option is, once again, to use the Bob Archer Model 1 in the other wingtip. It's essentially the same as the COM version, except that it is installed horizontally in the wingtip. At $90, there's not much cost difference, but there may be a bit of a performance penalty having it in the wingtip. This is the device I will need to use one NAV antenna with two radios. Comant CI-502. It's around $100, so they're not cheap. So, given the cost of the splitter, it makes me wonder if I should just install two antennas. All antennas are just conductors at a given length, and a ground plane of some sort. 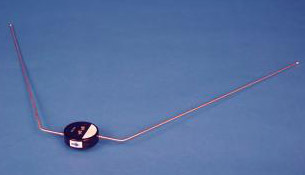 In the case of the marker beacon antenna, you can make one using a piece of coax. The conductor needs to be 40" long. Dan Checkoway has some info on his site. I will post a pic when I build mine. This is the antenna I will be using for the transponder. The TED Transponder Antenna. $19.00. It is small and cheap and works great. The Garmin 430 will eventually become my primary source of GPS. The antenna looks like the one shown at left. My secondary GPS will be the Garmin 496. 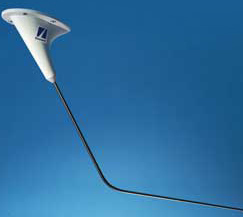 The antenna can be like the one above, or it can be the antenna supplied with the 496. In the -9A I installed the supplied antenna under the cowl. It works great. 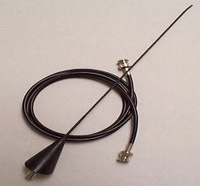 This is the antenna that comes with the AmeriKing AK-450 ELT. 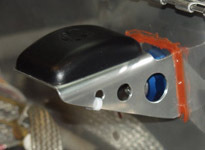 I will be installing this underneath the empennage fairing.